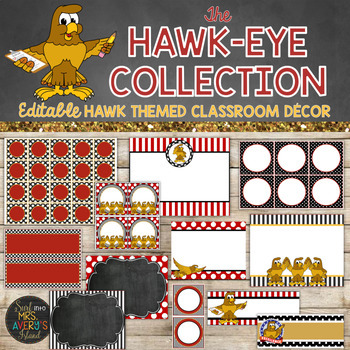 If you are looking for an editable hawk themed classroom decor bundle, this one is worth putting your HAWKEYES on! This bundle is FULL of editable classroom management tools and guaranteed to keep your classroom organized all year. 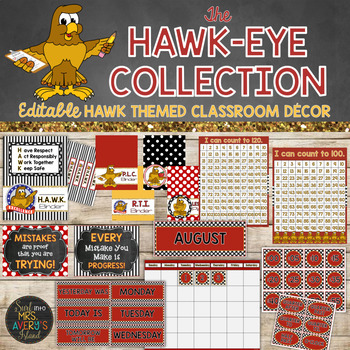 You will not be disappointed with this HUGE custom designed bundle of organization tools for you and your students to stay organized all year long! You will discover MANY editable files to personalize your printables! I invite you to click on the preview to take a look at this HUGE bundle of back to school essentials and discover the countless ways to keep your kiddos organized all year long! ❤️ and TONS of other editable templates customizable to fit the specific needs of your classroom! 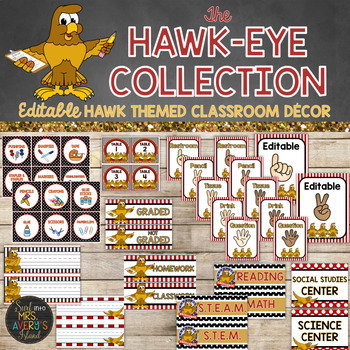 Click the links below to check out some of my other popular Classroom Decor Bundles and see what other teachers who own them have to say or CLICK HERE to check out my COMPLETE category of themes! *Already discounted bundles are excluded from being 50% off when uploaded.